It was announced yesterday that Julie Adams has passed on at the age of 92. This is a celebrity passing which hits particularly hard for me, as my experiences with her were very special. I've recounted numerous times here that I fell in love with the TV series MAVERICK (1957-62) when I saw reruns as a teenager. Julie Adams guest-starred in two episodes, one of which, "Brasada Spur," is one of my all-time favorite episodes. She's seen below in a publicity still for that show with Jack Kelly. 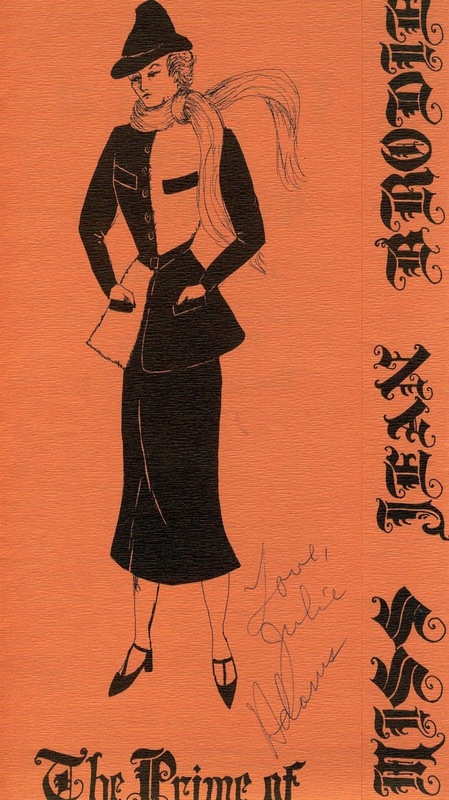 It was thus quite a thrill when as a high schooler in the late '70s I auditioned for -- and received -- a small part in a local theatrical production of THE PRIME OF MISS JEAN BRODIE starring none other than Julie Adams. Miss Adams, as the entire cast called her, was gracious and professional to all. A bit more on that experience may be found in a 2011 post. When I had the opportunity to meet her again at a screening of THE CREATURE FROM THE BLACK LAGOON (1954) in 2011 she seemed genuinely delighted when I showed her the MISS BRODIE program she had signed, and she inscribed her memoir to me "From Jean Brodie to the Creature - We have a history!" I couldn't have been more thrilled. She's seen below signing the book, with the late Marvin Paige in the background. I was fortunate to have other opportunities to speak with Julie, at the Palm Springs Classic Film Festival in 2015 and at Coleen Gray's memorial service that same year. When I ended up seated at a reception table with Julie and Marsha Hunt after the memorial, it was almost surreal. Over the years I've posted a number of tributes to Julie, and I hope those who love her as I do will enjoy spending some time going down memory road via the links below. Rest in peace, Miss Adams. You were one of a kind, and I'll always be grateful to you for enriching my life in countless ways. Previous Julie Adams tributes and coverage of personal appearances: From My Collection: Julie Adams (2011), Tonight's Movie: Creature From the Black Lagoon (1954) at the Egyptian Theatre (2011), Tonight's Movie: Bend of the River (1952) at the Egyptian Theatre (2011), Tonight's Movie: Slaughter on Tenth Avenue (1957) at the Noir City Film Festival (2012), Happy Birthday, Julie Adams! (2015), The Palm Springs Classic Science Fiction Film Festival in Review (2015), and Happy Birthday to Marsha Hunt and Julie Adams! (2016). 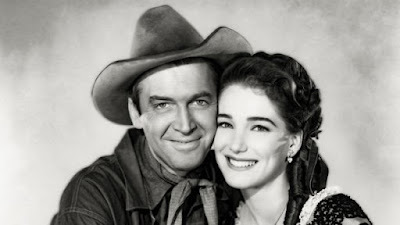 Additional Julie Adams film reviews not linked above: HOLLYWOOD STORY (1951), HORIZONS WEST (1952), THE LAWLESS BREED (1953), THE MAN FROM THE ALAMO (1953), THE STAND AT APACHE RIVER (1953), THE MISSISSIPPI GAMBLER (1953), AWAY ALL BOATS (1956), and THE GUNFIGHT AT DODGE CITY (1959). Lovely tribute, Laura, to a lovely lady. She was a luminous presence in any film she appeared in. She was gorgeous in "CREATURE....." and especially well-suited in the westerns she made. RIP Miss Adams. 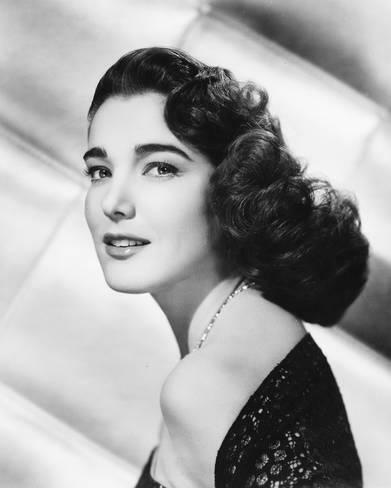 Laura, I have always enjoyed your wonderful write-ups about Julie Adams. She has been a favorite actress of mine ever since I first saw her in THE PRIVATE WAR OF MAJOR BENSON(1955) when I was a youngster. Miss Adams had much talent, beauty, determination, and graciousness. She was a true Southern Star. Sad news. Thanks for sharing your memories of meeting Julie. Will do my own tribute soon. Your memories help ease the loss for other fans. Thank you. On Boyd Magers Western Movies site there is a fine interview with Julie. Well worth taking a look at. What a great tribute to a lovely actress. And a very underrated one. I loved her in Creature from the Black Lagoon, all of her Westerns and especially in Mississippi Gambler where Tyrone Power was unfortunately not smart enough to choose her over Piper Laurie in the end. That was a beautiful tribute, Laura! Miss Adams was such a wonderful actress, and a very underrated one. She has always been one of my favourites. What is more, she is one of those people many of my friends had met and all of them told how wonderful she was as human being as well. Oh, how sad! I just watched the first episode of Yancy Derringer, which she guest-starred in, and I looked her up on imdb and was pleased to see she was still alive. How lovely that you were able to meet her and even work with her! Thaat's a excellent tribute to an actress I had a lot of time for, Laura. 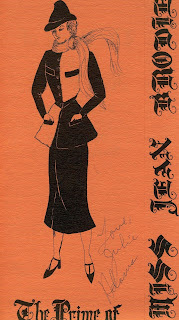 She was one of the faces of Universal-International throughout the 50s and will be sadly missed. What a lovely tribute Laura! 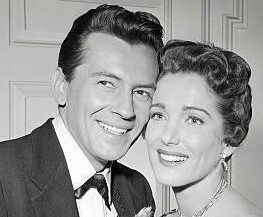 I love that you had this lifelong connection with Julie Adams. Thanks for sharing. 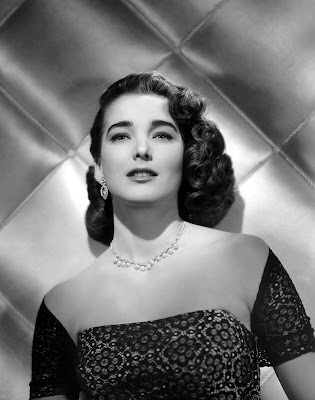 Thank you all so very much for your comments celebrating the life of Julie Adams. Since she's extra-special to me I found it heartwarming that so many of you love her too. Jerry, wasn't she gorgeous in CREATURE?! She would joke when asked about where her beautiful white swimsuit ended up: "It went the way of all Lycra..."
Walter, THE PRIVATE WAR OF MAJOR BENSON is a movie I need to see! Sure love the leads. I do have it thanks to a Universal collection and must make it a point to see it before long. Thank you so much for sharing the link to that interview, I enjoyed it!! Vienna, sad news indeed. Here's Vienna's tribute which I encourage everyone to visit! Caftan Woman, thank you. It's good to know Julie had so many other devoted fans! Barrylane, thank you so much for reminding me of the Boyd Magers interview. Here is the link for anyone who'd like to read it. Margot, I can't help agreeing with you, I never understood Tyrone Power's character being so hung up on chilly Piper Laurie in THE MISSISSIPPI GAMBLER when warm-hearted Julie Adams was carrying a torch for him! Thank you, Terry! I've always heard wonderful things about Julie from everyone who's met her. Hamlette, I haven't seen any of YANCY DERRINGER yet and am glad to know she was in it, I'll have to see that episode out. Colin, I really appreciate that. Universal Westerns of the '50s are loved by so many of us, and it's sad to have one of the last actors from those films who was still with us pass on. Raquel, I was really fortunate, I love the way the connection with Julie was threaded throughout my life. Thank you for reading!